For a better appreciation of the nature and versatility of this wine style, begin with the Germans. Life is filling in time between meals, and a meal without wine could only be breakfast,” my doctrine and usual sign-off in correspondence. It often sparks facetious replies, predictably involving champagne. I recently found myself at Rare and Fine Wines in Central examining the current range of Schloss Johannisberg wines and contemplating how Jefferson would react to the cost of these wines today. I would suggest there would be surprised expletives, even from such a dignified gentleman and arrangements made for the purchase of every last bottle. How does one equate changes in fame or taste? My mind boggles at how a wine of such history and pedigree can sell at such moderate prices these days. Queen Victoria and the European aristocracy would have willingly paid more for Schloss Johannisberg than Chateaux Margaux and yet, if you were to purchase 2005 Chateau Margaux now, it would set you back around HK$7,000 a bottle. On the other hand, Schloss Johannisberger Kabinett Rotlack (red capsule) 2004 is HK$250 per bottle and the Spatlese Grunlack (green capsule) 2004 HK$372 per bottle. The arithmetic is conclusive, at a 20th of the price. If you are not acquainted with riesling or are grappling with the diversity of styles, the wines from Germany are a good place to begin understanding the versatility and nature of this thoroughbred grape. One of the most puzzling aspects of riesling revolves around how much residual sugar (natural grape sugar sweetness) is left in a wine after fermentation, and how we perceive the levels of sweetness, from bone-dry (less than three grams per liter), off-dry (anywhere from nine g/l to 18 g/l depending on the region) or late-harvest styles that easily climb to 70 g/l, although not dessert wines as such. There is much debate among producers in Germany, Austria and France on this subject, although blurred by many wineries bowing to consumer demand for drier styles, especially in Germany. There seems to be an overriding aura of sophistication attached to dry wines. In fact, there is far more perspicacity and enjoyment to be had in understanding how varieties differ in regional or individual style, regardless of sweetness, and how best to match their eccentricities with particular cuisines or the drinking mood. The key to achieving harmony with increased residual sugars is naturally high acidity, paramount to the wine being balanced. Acidity camoflages lusciousness with animated tanginess that dissolves much of the sweetness. Both high acidity and residual sugar are also essential to the bottle aging qualities of riesling, one of the few varieties capable of long-term cellaring, indeed more so than many red wines with the potential to last more than 30 years. The Rhine and Moselle valleys are at northern extremities of the earth for making wine, the marginal cool conditions promoting invigorating acidity with radiant days ideal for riesling’s propensity for extended grape hang- time and last-harvest styles. The world’s greatest wines are universally linked to their provenance with unique terroirs that are reflective in the wine. An individual vineyard (Einzellage) within boundaries that were precisely defined back in the 18th century, the 50th degree latitude runs right through the middle of the Schloss Johannisberg. Occupying an entire hill consisting of a natural quartzite outcrop, it is a completely south-facing vineyard falling steeply away to the Rhine. Quartzite is a hard metamorphic rock formed from sandstone fused by intense heat and tectonic compression. Charlemagne (768-814) noticed, from his imperial palace at Ingelheim, that the snows melted earlier on this hill. He decided it would be especially suitable for making wine and had the first vines planted there. In the year 1100, Benedictines founded an abbey which later became the Schloss Johannisberg. As is legend, late-harvest riesling originated at Schloss Johannisberg in 1775 purely by accident. In those times, permission to begin harvesting had to come from the Prince-Abbots of Fulda, with sample bunches of grape delivered for evaluation by the “Johannisberg courier” horseback messenger. On this occasion, the messenger was robbed along the way and returned late with the official order to start picking returned late, by which time the overripe grapes had shrunk and begun to rot. So, the first spatlese (late-harvest) wines were made by chance. The consequent discovery of noble-rot (botrytis cinerea) led to harvesting auslese (selected, very ripe bunches), beerenauslese (individually selected, overripe berries) and trockenbeerenauslese (individually selected berries which are overripe and dried up almost to raisins) and the beginning of Rheingau riesling’s rise to world fame. Of the several vintages I recently tasted from Schloss Johannisberg, you will most likely encounter the 2004, although the 2005s have been released globally and will appear in Hong Kong in due course. There has been a run of excellent, albeit diverse, vintages – 2003, 2004 and 2005 – the later being heralded as a golden year with comparisons made to the greats of 1971 (although I would caution this is more relevant to the sweeter styles). Alongside the 2005, the 2004 Schloss Johannisberg wines looked much more together with marked acidity and accentuated minerals. That said, there was an extra dimension of glycerol and ripe peachy fleshiness in the 2005 wines that was seductive, and doubtless a vintage that is hot property. However, the showstopper for me was the 2003 Spatlese, bottled in a svelte magnum (1,500ml) and as rare as hen’s teeth. This vintage will go down in the annals of German wine growing as one of the most extraordinary years of all. It was one of the hottest and driest summers on record, the resulting wines extremely concentrated and powerful although with little influence from botrytis. It was incredibly intense with ripe pears, tropical fruits and melon notes, spicy among honeycomb sweetness, yet racy with cold steely minerals and breathtaking acidity – 51 g/l, although you would never guess by taste. The 2004 Kabinett was bursting with lime and apricot, fresh-cut apples and clover fields. The palate is initially juicy with nectarines, mandarin and pomelo with white honey sweetness, then turns nervy with dried apricots and tamarind peel, a touch spicy, tangy with a racy lemon bite of acidity, slaty, earth- minerals and just a telltale hint of ripe poached peach sweetness on the farewell. 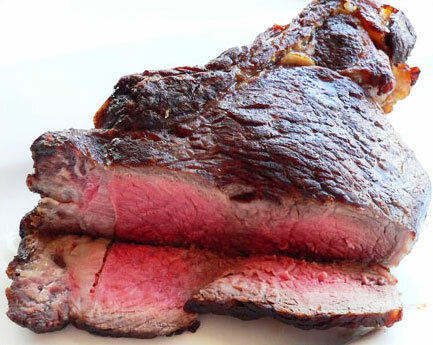 With 15.9 g/l, it’s perfect with spicy Thai salads or dishes where there is a lurking chilli heat. 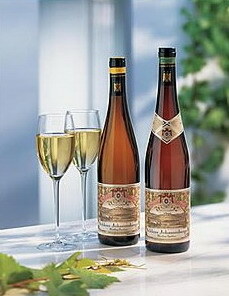 The 2004 Spatlese had similar intensity of apricot, limes and fresh-cut apples but was more opulent with poached guava, pineapple and hints of Turkish delight among ground ginger spiciness. Its palate was creamy, lush with golden poached peach, fresh pineapple and dried apricots; noticeably sweeter with palm sugar sweetness around the gills and a glycerol consistency throughout, but nicely balanced by tangy orange-apricot acidity and lingering spiciness. It’s exotic and impressive now, but 10 years bottle age would see a stunning metamorphosis. Available through Rare and Fine Wines, L6, Bank of East Asia Building, Central (Tel: 2522 9797). Also, Remy Fine Wines, Shop 252, Pacific Place (Tel: 2845 5995).